THE ORIGINS centre will be hosting Sterkfontein’s 80th birthday celebration on Heritage Day, September 24. The centre will also have its second DNA Ancestry Testing Experience this weekend. Sterkfontein is a South African national heritage site and World Heritage site. Fossils discoveries will be on exhibition, including the first ever adult Australopithecus found and the original fossils of Mrs Ples, which is one of the most perfect pre-human fossils to have been discovered. Wits professors will be in attendance to give talks and tours and the centre is also planning to open their new wing on the day. Tickets are R20. The two hour DNA Ancestry Tour includes a museum visit and presentations by Dr Ian Mckay on evolution and genetic ancestry testing by Ms Rajeshree Mahabeer of the National Health Laboratory Service. A museum tour of the origins of man is included in the R250 entrance fee. People will also be able to test their DNA to track their lineage by providing a cheek swab sample. The test will cost females R800 and males R1200. The test results come in the form of a report after 12 weeks, once the DNA sample is compared to two international databases of mtDNA sequences, indicating the most likely region where your mtDNA profile originated. The limitations of this test is that it can only go as far back as great great-grandparents. This Ancestry Experience is taking place on September 17 and November 12. Round one of the Varsity Sing semi-finals were filmed for broadcast at the Linder Auditorium at Wits this week. The competition is the first annual choir competition between 12 varsities from across the country, taking place over 13 weeks. The University of Pretoria (Tuks Camerata), the University of Johannesburg (UJ), the University of Free State (UFS-Kovsies) and Central University of Technology (CUT) all participated in the first round of the semi-finals. The semi-finals of Varsity Sing are non-traditional as there will be two rounds. Round two semi-finals will see the University of Stellenbosch (Maties), the University of the Western Cape (UWC), the Nelson Mandela Metropolitan University (NMMU), and Rhodes University are all taking part in round two of the semi-finals compete against each other. The two winning choirs from each round of semi-finals will advance to the finals. The choirs performed an original composition, a traditional South African composition and a song of their own choice. Judges Marvin Kernelle, Christo Burger and Loyiso Bala and guest Hemelbesem held the majority of the vote, although viewers votes, cast on the Varsity Sports App, were also taken into consideration. The Wits choir did not participate in the competition and could not be reached for comment at the time of publication. 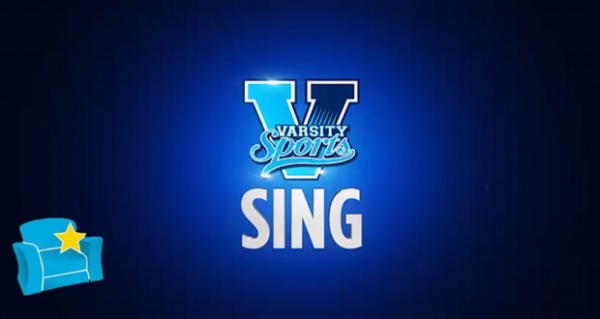 Varsity Sing is a competition by Varsity Sports and kykNET. The starting 12 choirs competed in a knock-out style format. Mangosuthu University of Technology (MUT), however, dropped out of the competition at the last minute due to strikes that impacted their rehearsals. The semi-finals episodes will be broadcast on kykNET on the 15th and 22nd September at 08:30pm. The competition is sponsored by FNB. Miss Teen Commonwealth South Africa Nazia Wadee,2nd Year Politics and International Relations, wants other young people to know that beauty and activism can intersect. The annual Ruth First memorial lecture took place on Wednesday evening. Do people go to voting stations to deliberately spoil their ballot? Some voters do exactly that, while other ballots are spoilt by mistake. Ballots are spoilt when the Independent Electoral Commission (IEC) counters are unable to identify the intention of the voter effectively. This can be due to the ballot being filled in incorrectly, words being written on it, several boxes being ticked or the ballot left unmarked. The average number of spoilt votes in South Africa fluctuates, but the figure remains close to the global average of 1.6%. This year, South Africa’s total number of spoilt votes has increased to 1.8%, or 386 906 from a total of 21 346118 votes cast. All provinces had more than 1% of spoilt ballots. North West and Free State recorded the highest number of spoilt votes, while Gauging and the Western Cape had the fewest. President Jacob Zuma said he was looking forward to there being fewer spoilt votes this election. Spoilt votes are closely watched as they can provide an indication of political awareness and passive resistance, without being apathetic. While some seem to endorse the idea as making an active statement, others believe that it is a futile betrayal and wasted opportunity. A newly developed app aimed at improving the e-learning experience for students is hoping to attract support from major South African schools and universities. A production by Wits drama students, The Village, will be on at the 969 Festival next week. The 969 Festival runs from 13-24 July at the Wits Theatre, giving Johannesburg audiences the opportunity to see shows straight from the stages of the National Arts Festival.